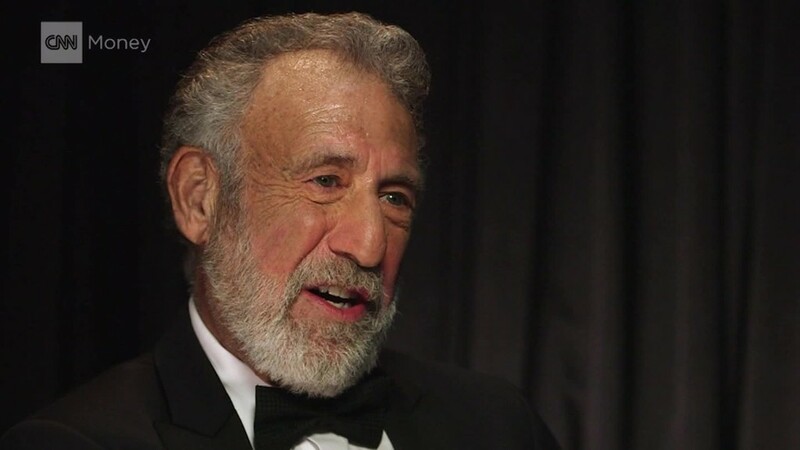 George Zimmer, the bearded founder of Men's Wearhouse, just lost $10 million ... and he's happy about it. "It hurts me financially but it pleases me emotionally," he told CNNMoney's Christine Romans in his famously raspy voice. Zimmer, known for his signature line, "You're gonna like the way you look, I guarantee it," was referring to the share price of his "baby" -- Men's Wearhouse (MW). The stock of Men's Wearhouse has tanked 30% over the last month after the company ended the long-standing "buy 1 suit, get 3 free" deal offered by its recently acquired subsidiary Jos. A. Bank. "It was vindication for what happened," he said. Zimmer said he's been competing against Jos. A. Bank since 1973 and had considered buying them at various times "but it never really made sense," especially when the purchase price got up to $1.8 billion. Also, he said they "destroyed their brand" with their ultra-cheap discounts, inspiring a Saturday Night Live skit where the comedians use Jos. A Bank suits to mop up kitchen spills because they're cheaper than paper towels. Zimmer says it's the "single funniest" skit he's ever seen. Now Zimmer, ever the entrepreneur, has launched a second act. His new startup, zTailors, serves as an online Uber-style marketplace for tailors who visit the customers' homes rather force them to come to the tailor. "I'm the luckiest guy in the world to have a second chance to do this again," he said. Getting fired: "I told my kids: 'Kids, let me tell you about getting fired. It doesn't matter. What matters is getting up afterwards.'" 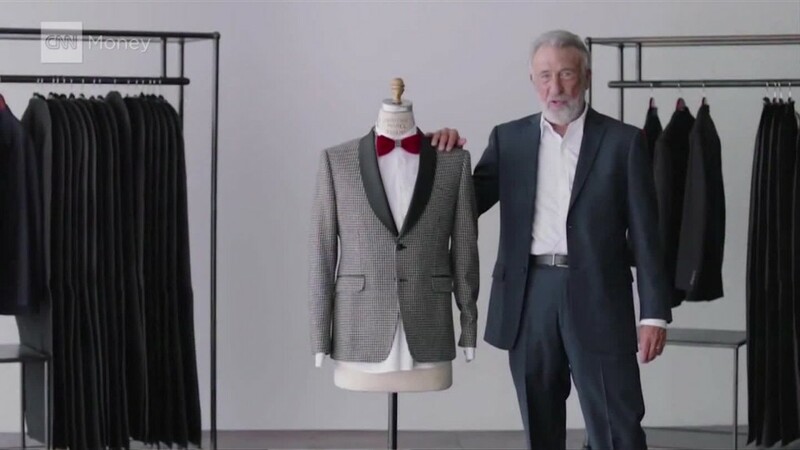 Competing with Men's Wearhouse: "Since Men's Wearhouse is unraveling, I can make mine bigger." Why he won't retire: "I don't think it's healthy to retire." He said it's good to "work less," but don't retire. Fashion sense of presidential candidates: "They all dress the same. Dark suits with red and blue ties. I guess it suggests patriotism. I do support Hillary, but I would dress more like Bernie." What's in his closet: Five suits and two tuxes. What should be in every man's wardrobe: A Navy blue blazer and a gray suit. Why is his voice so deep and gravelly? "To give myself more gravitas, I artificially deepened my voice," he said, referring to his high school days, when the small-statured Zimmer felt like a boy among men. But he said it stuck, and he couldn't undeepen his voice after adolescence. Marijuana legalization: "I don't drink alcohol, but I am in favor of adult responsible use of cannabis." His famous slogan: He doesn't use "I guarantee it" anymore because it's associated with his old company. He said he hasn't decided on a new one-liner yet. But he's mulling over this one: "I've got you covered." --CNNMoney's Jordan Malter contributed to this report. Related video: Zimmer: Trump and GOP rhetoric is 'un-American"